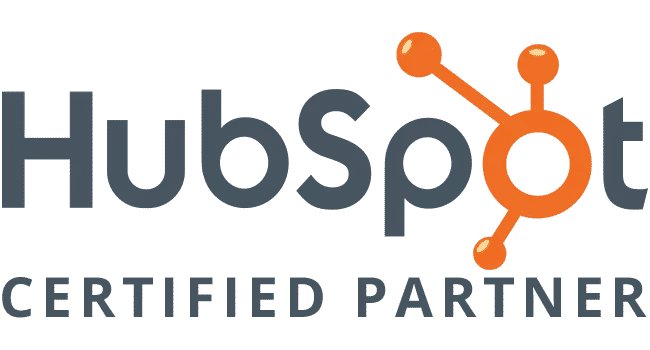 Firstly, 4DP is a certified HubSpot Inbound Marketing partner. And, we think Inbound Marketing is the most effective strategy for businesses in marketing today. Here’s brief introduction into how HubSpot came about the founder of HubSpot realized that the old tried and true tactics used in Marketing (direct mail, email blasts, cold calls) simply weren’t effective anymore. You have probably noticed customers have gotten really good at blocking interruptive marketing and sales tactics. Something had to change. So Hubspot decided it was time to make the marketing and sales process way more human. Time to treat customers like people and not just statistics. Time to build an inbound community and help people achieve their business goals in a more empathetic and personable way. Why is HubSpot Beneficial to You? Companies are made up of people. And, when those people have the right tools, they can turn their business goals into reality. With the HubSpot Marketing Hub, we can help you increase traffic, convert leads, and track your entire funnel in one spot. It’s an all-in-one Inbound Marketing Software system. Everything you need to launch effective marketing campaigns that will make people interested in your business and happy to be your customer – all in one place. What Can HubSpot Do for You? Drag and drop your way to beautiful, stylish web pages, blog posts, landing pages, and email templates. Create a content strategy that adapts to the way modern search works, and easily publish blog content without the difficulty of formatting. Get real-time SEO suggestions, and publish to social media at peak times to reach the right audience. Design calls-to-action your visitors can’t help but click and personalise messaging based on locations, traffic source, devices, personas, and more. Launch professional landing pages easily without relying on a developer, attach forms with one click, and run A/B testing to increase conversions. Engage with interested users in real time with a live chat. Give each lead a personalised path to convert. With drip campaigns, you can queue a series of emails that give leads everything they require to become paying customers. And every interaction with your content can trigger the perfect follow-up step automatically. Connect with HubSpot CRM to automatically record and organise every interaction customers have with your brand. Use this data to report on how each marketing campaign and asset contributes to your sales. Create a sequence of personalised emails and reminders that get delivered automatically at the right time to your customers. Turn repetitive emails into templates easily, measure their performance, and share the best ones with your team. Get notified the instant prospects open an email, click a link, or open an attachment for timely, relevant follow-up with the hottest leads. Connect with prospects through live chat on your website, and eliminate back and forth emails and missed calls by sending a link that lets leads pick a meeting time that works for both of you. Eliminate manual entry as every lead’s contact info, email opens, and clicks get logged automatically. Automate time-consuming tasks like lead rotation, task creation, and more. Sync with HubSpot CRM to track deals won/lost/in progress, and see which reps are your best performers and why. Simple. Get in touch with our team here at 4DP to find out how, and together with Hubspot’s services, we can improve and streamline your marketing campaigns with their many useful tools.